One person has been killed and two injured as two separate Islamic sects clashed in Munya local government area of Niger state on Monday, police said. One of the two injured is a police officer, who has been hospitalised at a private hospital in Sarkin Pawa, the headquarters of the local government area, police confirmed. The command’s public relation officer, ASP Mohammed Abubakar Dan-Ina told Daily Trust on phone that 28 people were arrested as a result of the fracas. He said the injured officer received machete cuts, when he and other colleagues were trying to stop the crisis from escalating. 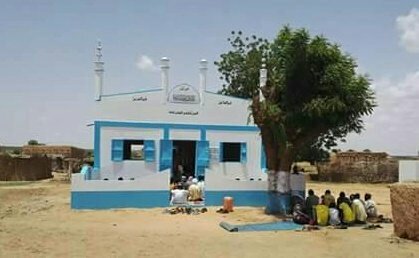 Our correspondent gathered that the clash broke out between the Darikah and Izala Islamic sects at the weekend over the timing for the observance of the Jumat prayer and decision of the Izala to have a separate prayer ground in the community. Residents said one of the sects was against the decision of the other saying the congregational prayer at 12.30 pm and tried to stop the members of the other sect from saying the prayer that time. The ensuing disagreement was said to have led to the use of dangerous weapons by parties in the conflict. The member of the house of assembly from the area Mr Paul John Bahago and the Commissioner nominee from the area Alhjai Danjuma Salau, who were in the area to commiserate with the injured and assess the situation described the incident as “sad and unfortunate” and urged the people to learn to live in peace with one another. ASP Dan-Ina said men of the command’s criminal investigation department have commenced investigation into the matter. He also said the command has moblised more officers and men to enforce law and order in the affected area.